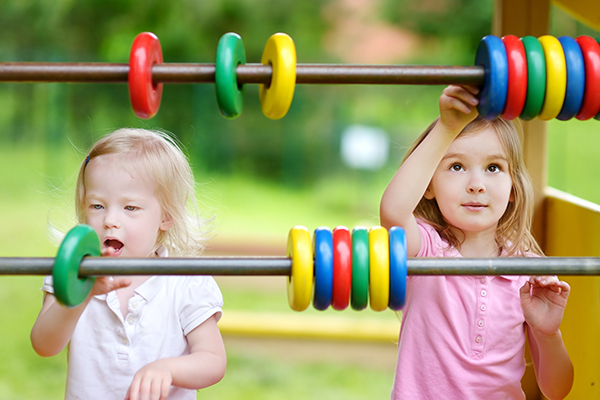 Children learn their colors between 20 months-3 1/2 years of age. Doing some of the following 35 activities will help facilitate their learning. Color with crayons, colored pencils, etc. Go on a treasure hunt! 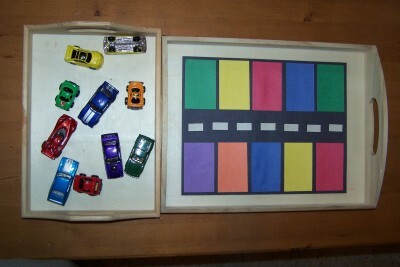 Using paper lunch bags with colors on the front go collect colored toys together. 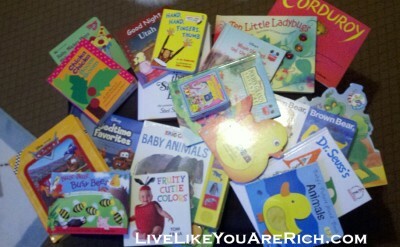 Read books often and while reading point out different colors. Say the colors of nature when you go for walks. 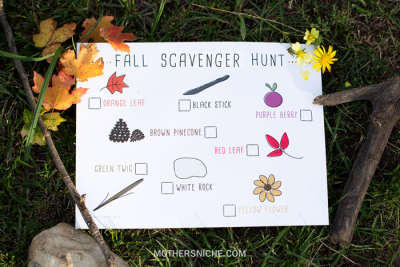 Or do a Fall Scavenger Hunt. Drop vinegar tinted with food coloring onto a pan filled with baking soda. Sheer minutes of colorful fizziness! !… Pretty sure we will be doing this soon! 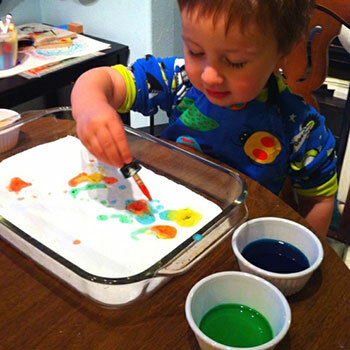 Using Toddler-Friendly-Finger-Paint (found here) talk about the color they are using. Give them a sheet of stickers and have them match the stickers to colored paper. Color puzzles. My son and I have been playing with a colored puzzle like this one for months. 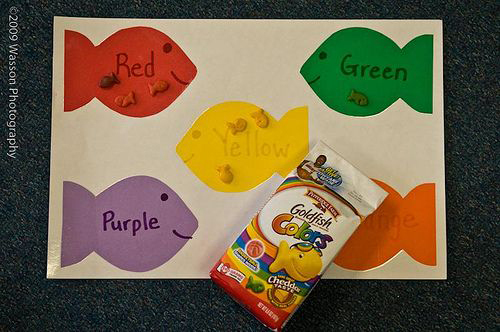 This puzzle and reading is how he began learning his colors so early. Also, having him watch episodes from Daniel Tiger, Super Why, Baby Genius and other educational toddler programs that mention and teach colors has helped a lot too. 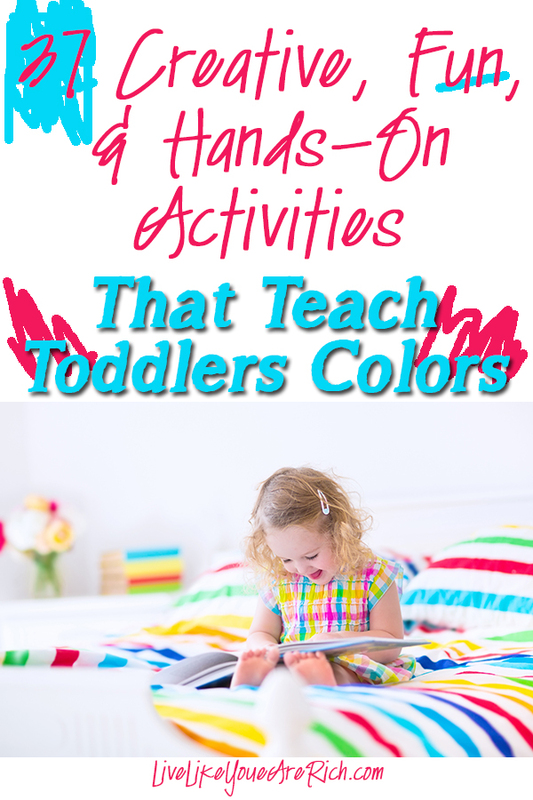 Use a shape toy to teach colors and eye hand coordination. 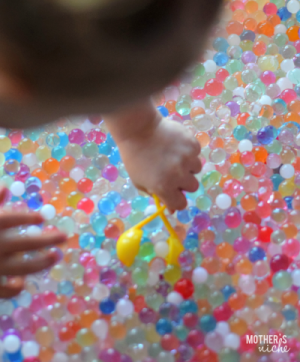 Play with colored Jelly/Water Beads together. Get an old egg carton and paint it different colors. 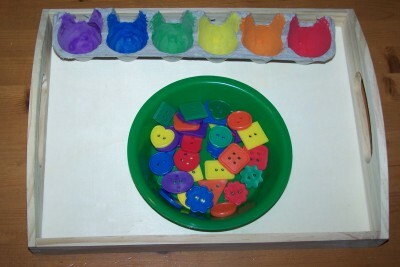 Using buttons or other small objects, have your toddler sort them. Dye Easter Eggs together. Also, when they go Easter Egg Hunting ask them to name the colored eggs they find. If they love playing with cars you could make a color coordinated parking lot and teach them to park the cars in the correct spot. When I taught English in Taiwan we would play red light, green light using sheets of construction paper. I would hold up the green paper and the toddlers would start walking towards me. Then when I held up the red paper they would stop. The goal was to make it to me. This was a fun activity to learn red and green as well as the commands stop and go. 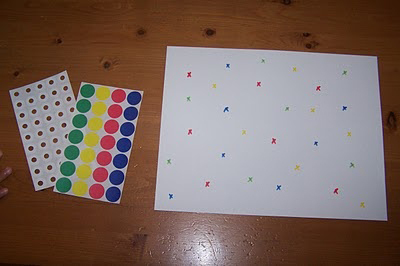 Make little x’s on a paper with colors, and have the children match the corresponding colored stickers to each X. Sort items like fruit loops or fruity cheerios onto the right color papers. 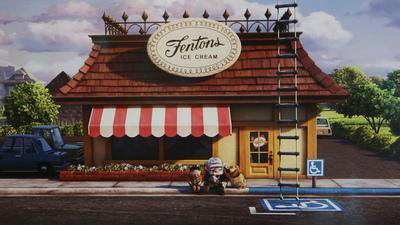 In the movie UP Russell loves to get ice cream and while eating it point out certain colors of cars. This would be a fun activity for kids who love cars. This would also work to make a game of pointing out well-loved objects (i.e. flowers, hats, shirts, or anything they are can name and are drawn to). Or when you go grocery shopping together. Park towards the back of the parking lot and on the way into the grocery store name the colors of cars. Inside the grocery store point out the colors of the items you are putting in your cart. 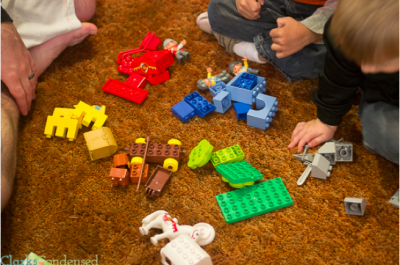 Download the free color sorting printable from this website and clip and sort. Sort on a flat surface or use tape and a white board as shown. 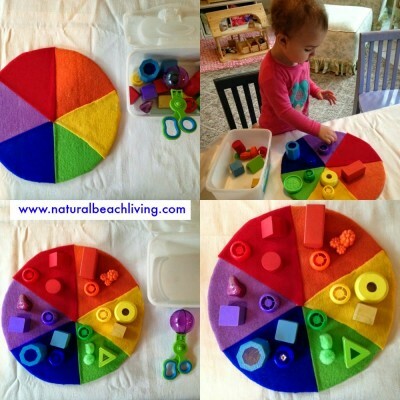 Using inexpensive counters (found here) you can create a variety of color and counting games that are super easy for moms. Going to parks with colored playground items and say the colors while your toddler plays. i.e. ‘Go down the yellow slide’. 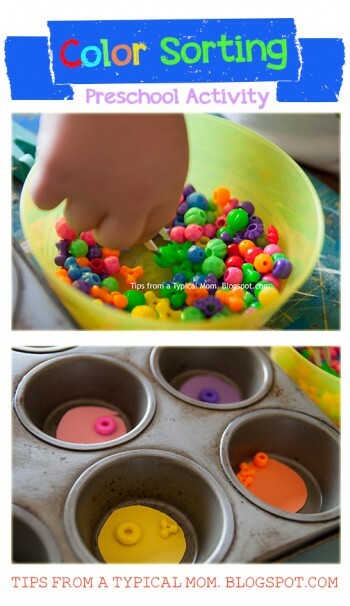 Using muffin tins and craft pom poms or beads with some construction paper at the bottom of each tin have your toddler color sort. Play with different colors of Play Doh. Place colored paper plates or construction paper on the ground and call out a color for your child to go jump on it. 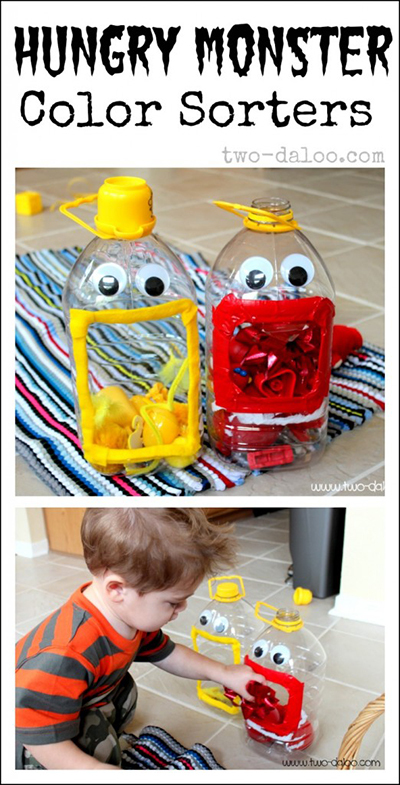 Use old juice bottles or milk cartons to make these darling monster color sorters. Using craft foam sheets the possibilities of games and cutting out specific colored objects are endless. Play board games- Candy Land is a great family board game for kids (even toddlers) to learn colors. 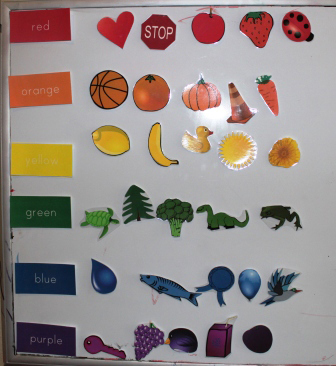 Get colored magnets for the fridge and have them tell you the colors, or group them into colors while you are preparing food. This is also an excellent way to teach children to read. Have your child tell you the letter and the sound of each magnet. Also, have them or group them into easy words while you are preparing food, doing the dishes, or spending time in the kitchen. 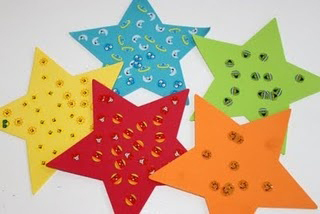 Fun free printables using magnets can be found here. 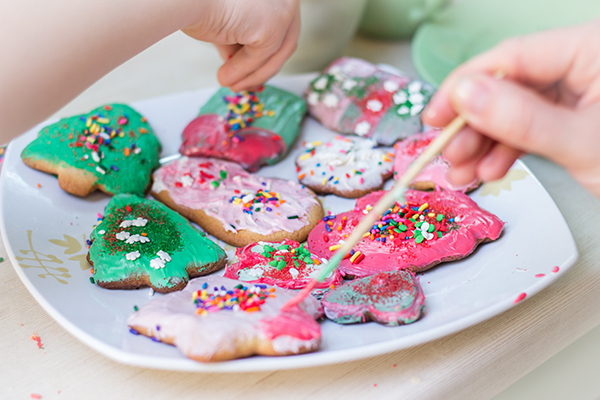 Decorate cookies with colored frosting and sprinkles. Best cream cheese frosting recipe found here. A favorite family activity is to blow up balloons of different colors (not with helium) and play ‘hot potato’ with our son. We try to make sure the balloon never touches the ground. He LOVES it. 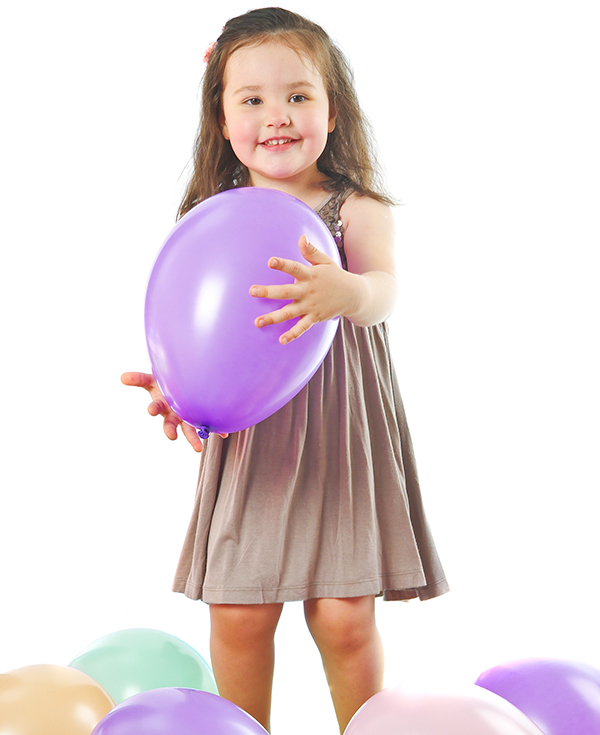 Telling a toddler to ‘hit the purple or red balloon’ helps them learn colors through play. 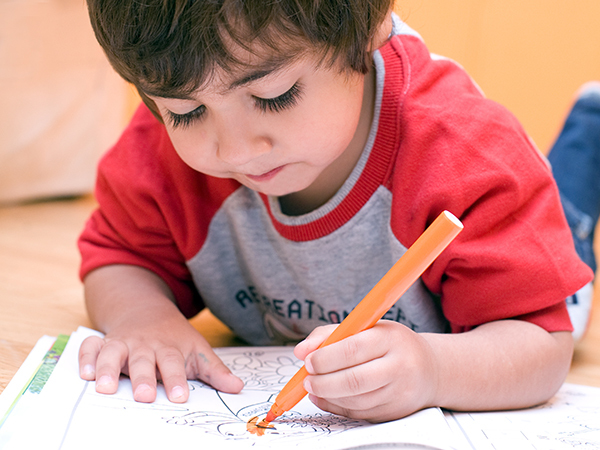 Using toddler color apps for your phone or tablet will allow your child to color, draw, etc. while on the go. This is something I do with my son to try to keep him quiet during church. 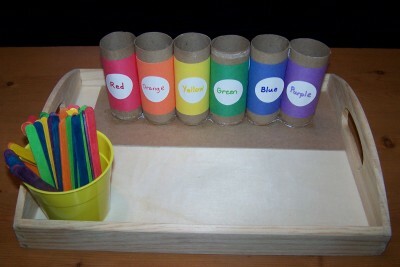 Using toilet paper rolls and colored Popsicle sticks have them sort the sticks into groups of colors. Ask them what colors they want to wear each morning. When you hand them objects tell them the name of the color of the object i.e. ‘Here is your pink bowl’. Here is a fun video of my son (26 months old) learning his colors by playing with blocks and building a “tower”. Don’t you just love their little lisps and accents? 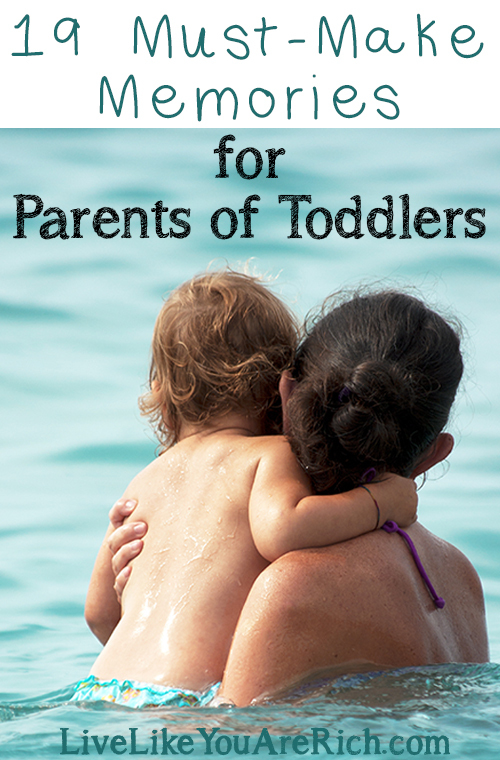 I hope you and your toddler will have fun with some of these activities! What things have you done to teach your toddler colors? For other ‘rich living’ and money saving tips, please subscribe, like me on Facebook, and follow me on Pinterest and Instagram. These are awesome! We have been working on colors with our son for a while now. I wish I had these ideas sooner! It’s definitely going to help make it more fun! These are all such great ideas! 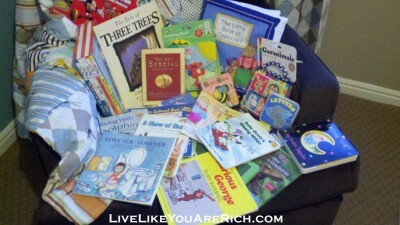 I especially like the one with the picture books 😉 and the one from UP! Pinning for when I get to teach my little girlie her colors! I found that songs can be a big help too.